To start the week off, here are three varied but time-saving Photoshop production tips you can use when editing images. When you select the Crop tool (C) to crop your images, take a look at the options available on the tool options bar at the top of the screen. When you choose an area to crop (as long as itâ€™s not on the background layer) youâ€™ll see an option to Delete the cropped area or just Hide from view. The really cool thing here is, if you choose Hide, it crops the image window down to the size of the crop, but the cropped-away areas are still there, so you can use the Move tool to drag the cropped areas back into view. When you open the color palette in Photoshop, you can see two things: A set of sliders you can use to create your own colors, and a color ramp which allows you to quickly pick a color with the eyedropper. 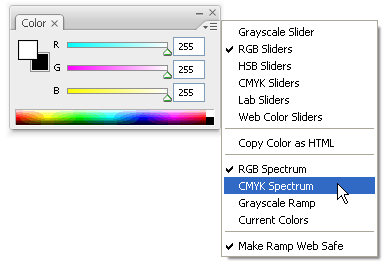 The tip here is that you can set the color sliders to one color mode, for example RGB, and the color ramp to another mode, Grayscale or CMYK for example. Another quick tip is that if you want to rotate quickly through color modes on the ramp without having to go back to the palette menu, you can Shift-Click on the ramp. 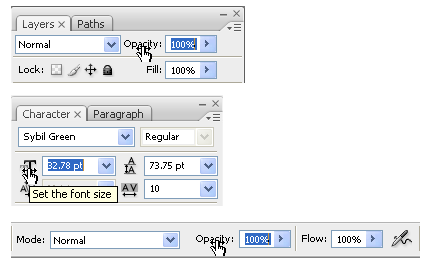 Often when youâ€™re working in Photoshop (or any of the other Adobe products), you will regularly need to change values that sit in small fields such as the Character palette or the tool options bar. They can slow you down a bit as you click in the field, highlight it, delete the current value and type in a the new one. The tip here is to simply click on the fieldâ€™s name, Photoshop will automatically highlight the full field for you and you can type in the new value on top of the highlight. So there you have it. 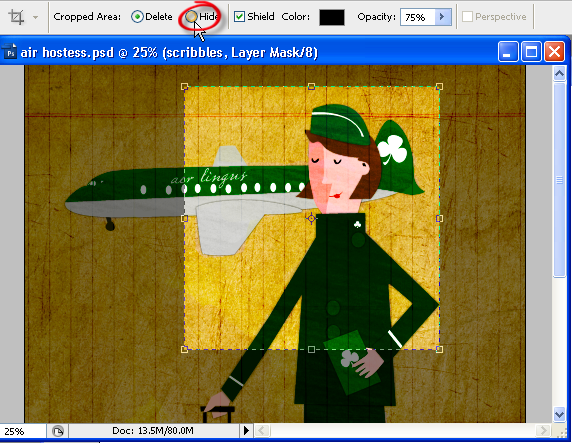 Three small, but useful time-saving tips for Photoshop.